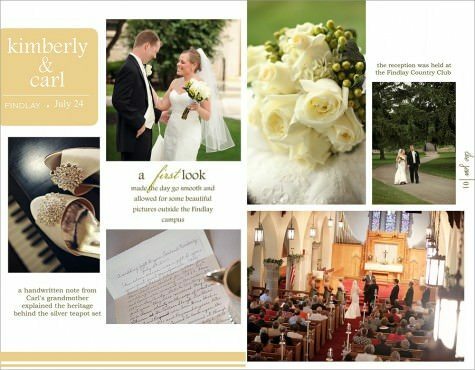 Kimberly and Carl planned a beautiful, simplistic wedding at Kimberlys’ parents home church, located on the University of Findlay’s Campus. Guests came from Nebraska, Oklahoma and Kansas to celebrate this marriage. What to say about these two?? Just look at the GLOW on both of their faces…yup, Carl and Kimberly were beyond happy on this Sunday in July. They opted for a first look and this made it so much nicer on them throughout the day. It was beyond easy for me to capture the two of them genuinely smiling and laughing. Kimberly, I loved, loved, loved your dress and you truley looked so stunning. Carl-dapper is your word 🙂 Since most of the guests were headed out either that Sunday evening or the following day, the reception was a relaxed affair. Before Grandma and Grandpa left, they made sure to open their gift, which was a beautiful teapot, dipped in silver that had been part of the family since the early 1900’s. To accompany this, was a perfectly handcrafted letter explaining it all from Grandma. I think every grandma has the same tightly, cursive, sweet, loopy penmanship, right? 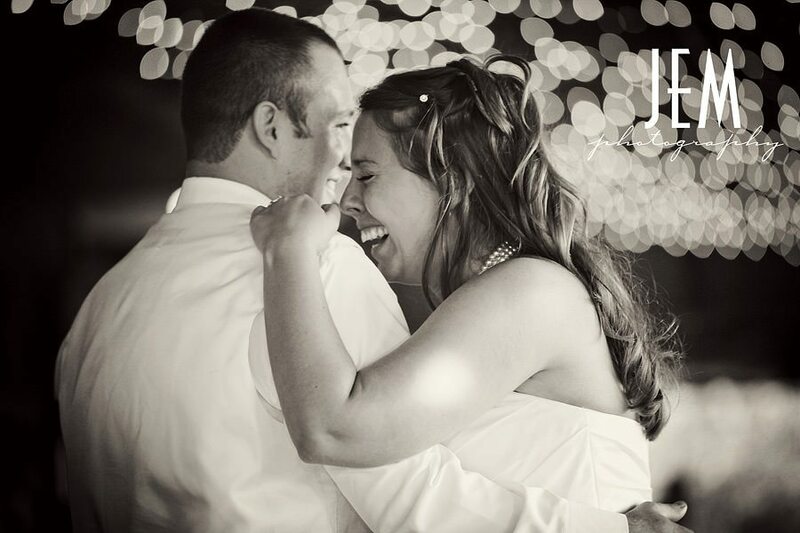 Carl and Kimberly, you two are beyond saints for waiting for this blog/slideshow-THANK YOU! 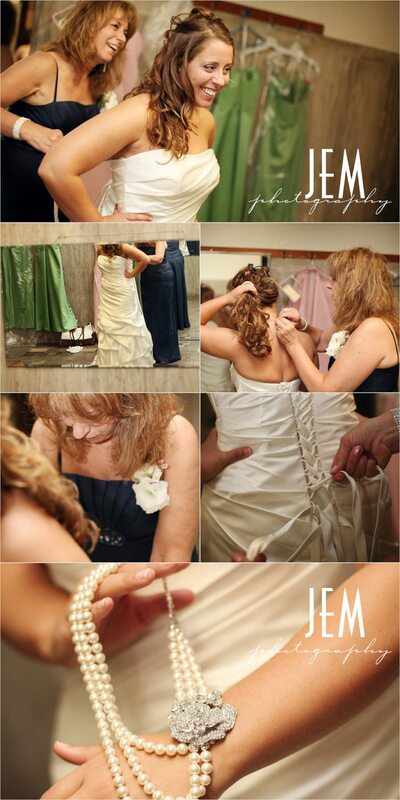 Please click this link: CARL AND KIMBERLY SLIDESHOW to view! When I first met with Janine and Ben they told me what huge movie buffs there were. They knew there would be an underlying movie theme at the wedding and they did a great job pulling that off with popcorn as their favors, movie quotes all over the wedding cake and each table was named after a movie. 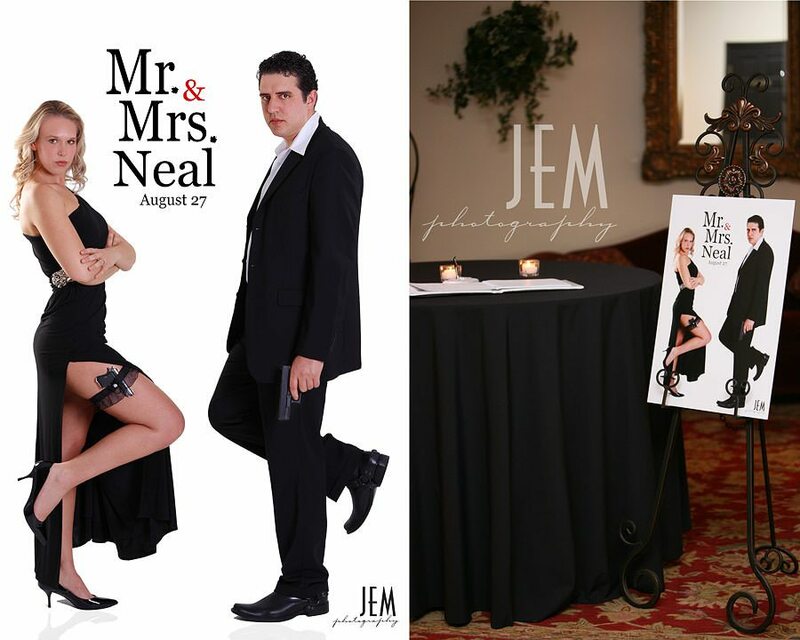 To go along with their theme, they wanted to exchange the traditional engagement portraits for a replica of the Mr. and Mrs. Smith movie poster. 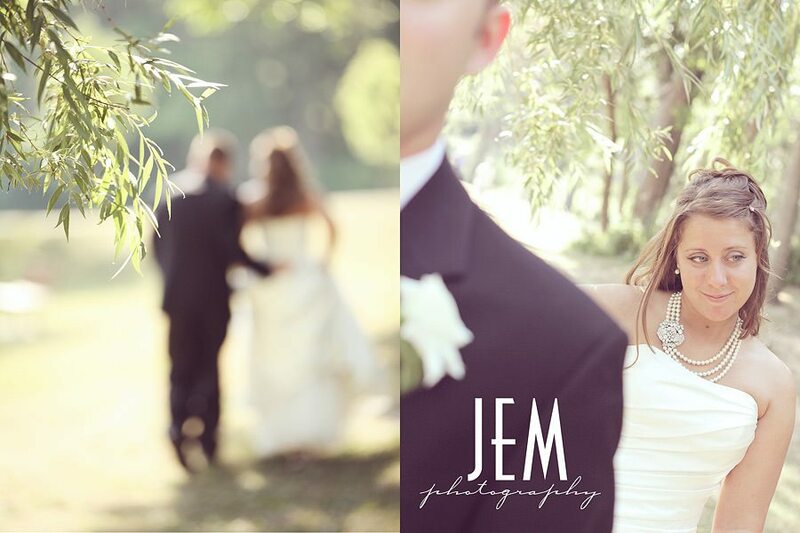 What a fun shoot and something that JEM isn’t used to doing, but what a great detail to add to the theme. I posted both the actual image and also the poster that was displayed at the wedding for you all to see. Thank you Emily Cannon for your help with this one! Couldn’t have done it without you! 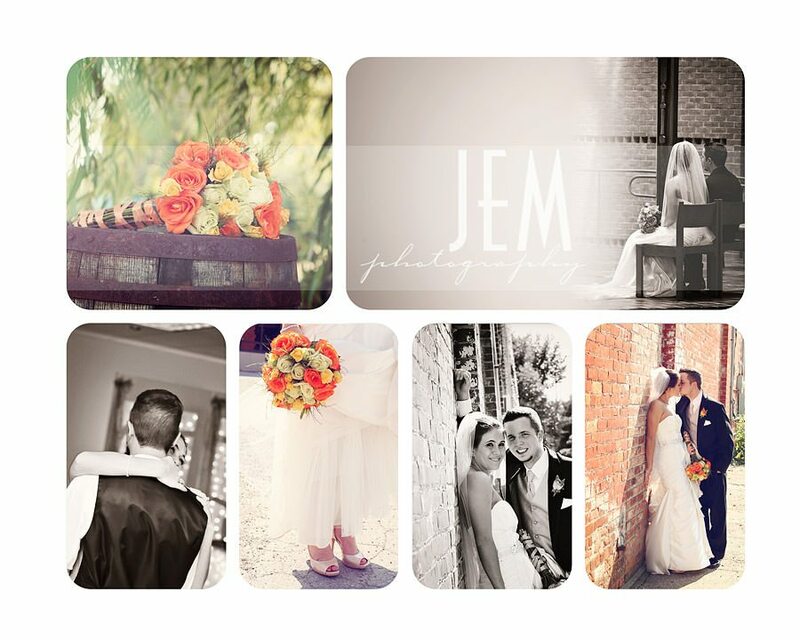 While Janine and Ben’s wedding was filled with love, family and friends, it was also filled with so much laughing!!! 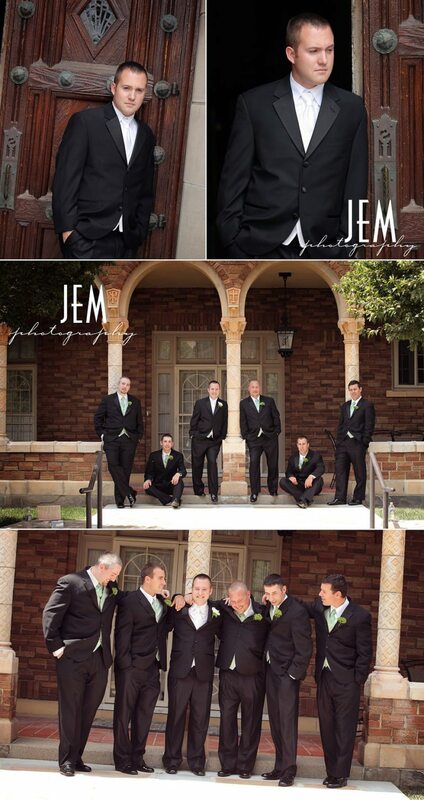 As I was going through the images I was even smiling and laughing at all the fun this bridal party had. I think the funniest part of the day was when we were downtown and the entire bridal party started running “with” a random jogger. I included two of these pictures in the slideshow. HiLArIOUs!!!! I tried to show not only the beauty of this day, but also the amazing fun that was had too. Even during the ceremony Janine and Ben could not stop smiling and laughing. It really showed their true happiness. I love seeing that!!! 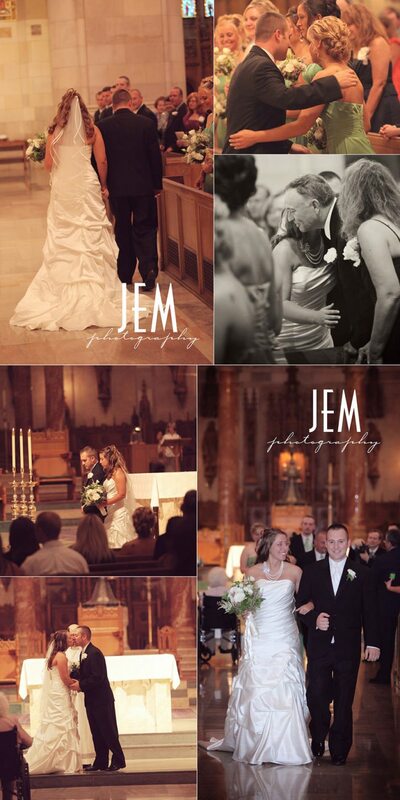 In keeping with our new wedding blog postings, I put together a slideshow of this beautiful wedding day. Enjoy! Is this the JEM Blog? Am I really posting something? YES, in fact I am! It’s been a while since a blog has been posted and that means JEM is busy beyond belief. 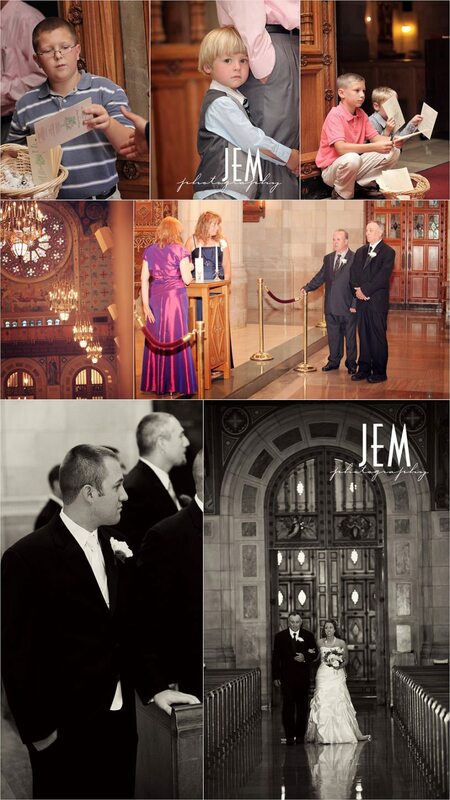 We are so thankful to all our JEM clients and for all the wonderful faces we get to photograph everyday. Sorry blogs have been sparse, but we will do our best to get back at it! 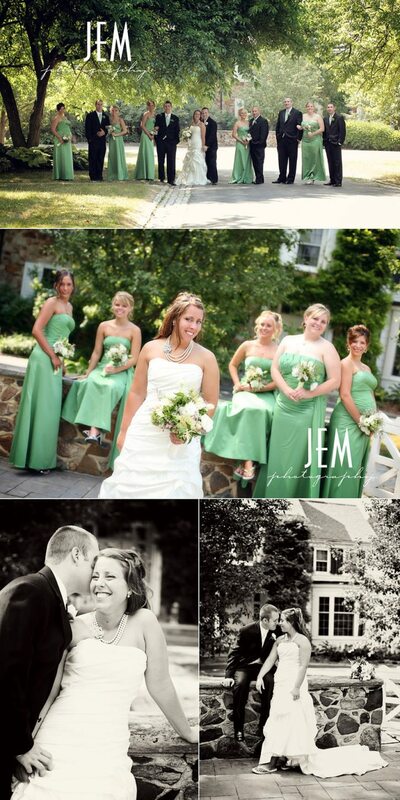 We are going to try and do things differently with some of our wedding postings. For this special wedding I wanted to put together a slideshow to show the beautiful day that Abi and Codey had. They have been extremely patient with this posting and for that I THANK YOU so much. So without further ado, sit back, grab your snack pack or popcorn, relax and enjoy the show. I am obsessed with Etsy. I love this site and wish I would have known about it before I got married. Maybe it’s because of this that I get overly excited about others who have found the site before their big day. Kristen told me about the necklace she ordered and I fell in love the moment it was taken out of it’s pretty wrapping. Her mom cried over it when she took a picture on her phone and sent it over! So maybe it wasn’t the necklace that brought tears to her moms eyes, but the idea that her little girl was going to be walking down the aisle and saying I do within a few weeks. 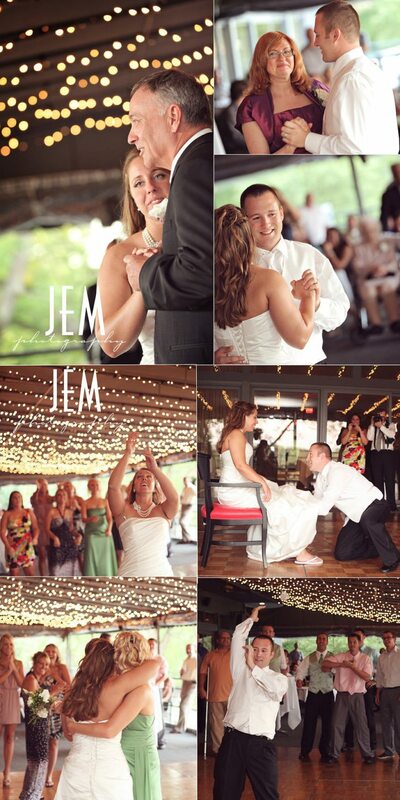 The happiness that I witnessed on Kristen and Joshs’ wedding day was completely obvious. 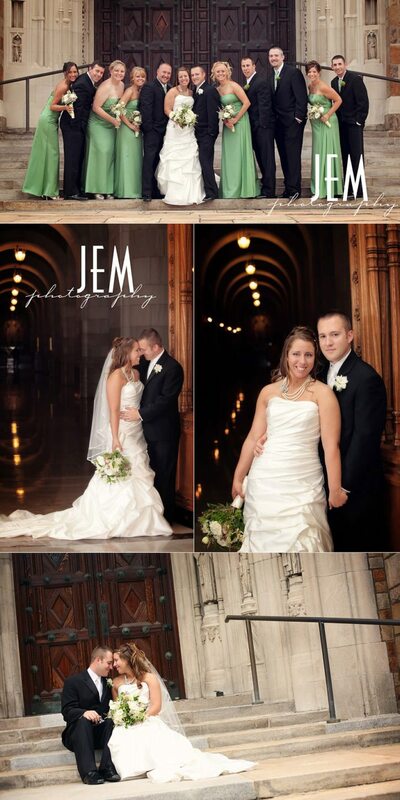 The ceremony was at the gorgeous Rosary Cathedral and the reception took place at The Belmont Country Club. The air cooled off and made for a perfect evening under the twinkle lights. Some of my most favorite pictures were taken after they had just gotten married and slipped off to the side of the church. How easy it was for me to take pictures because of their genuine love for each other and the smiles that never left their faces.